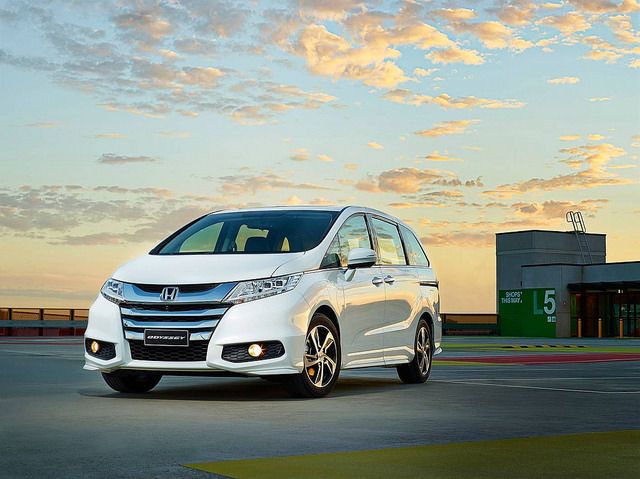 The Honda Odyssey is one of the best minivans on the market today. The interior has plenty of room for up to eight passengers to sit comfortably while still having a lot of cargo space. The engine is a 248 horsepower V-6 that’s coupled to a 6-speed automatic transmission. Fuel economy is important in a family vehicle and the Odyssey was designed with that in mind. A cylinder deactivation feature reduces the engine to 3 cylinders to conserve fuel when on the highway. The Odyssey gets an EPA estimated 19 mpg city and 28 mpg highway. Knowing that minivans usually carry children, the Odyssey is equipped with a built in vacuum stored in the cargo area, making it much easier to clean up the eventual crumb piles that will spring up in the back seats.